Happy Halloween! Are we ready to have some fun and of course dress up? 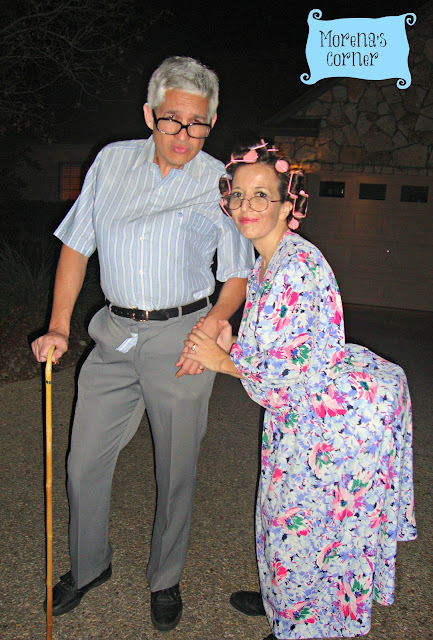 To inspire you to look fantastic today I’m sharing 10 Last Minute Halloween Costumes. These are not just fabulous but super affordable. 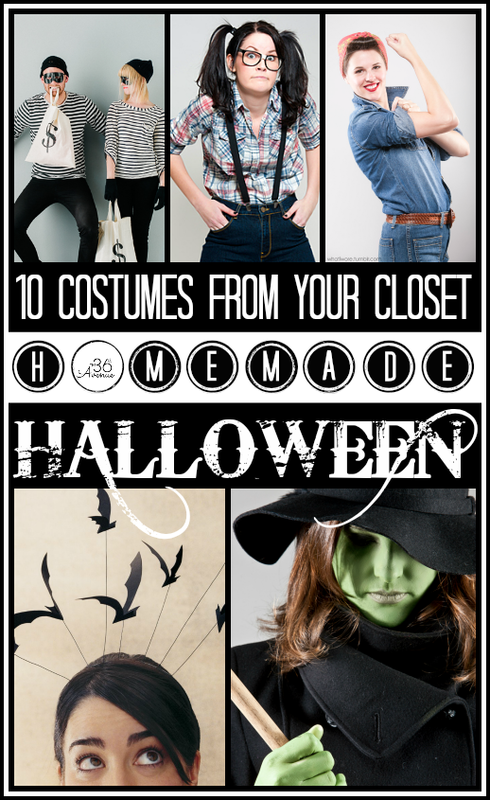 These are Homemade Costumes that you can put together in a short time with things you most likely have around the house. 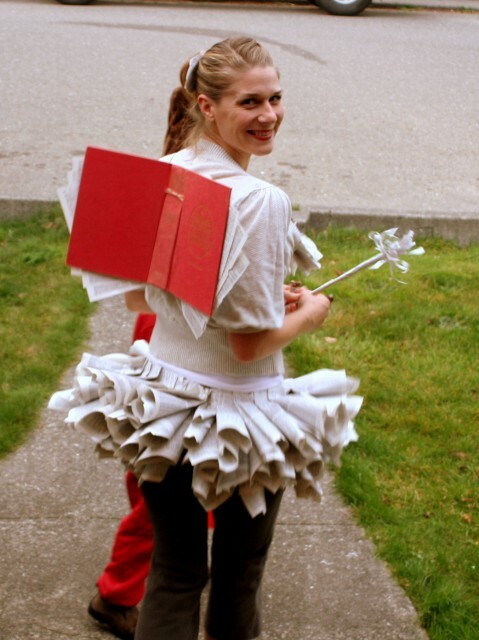 In my humble opinion I actually think DIY Costumes are always more unique and fun! Are we ready? Lets dress-up ! 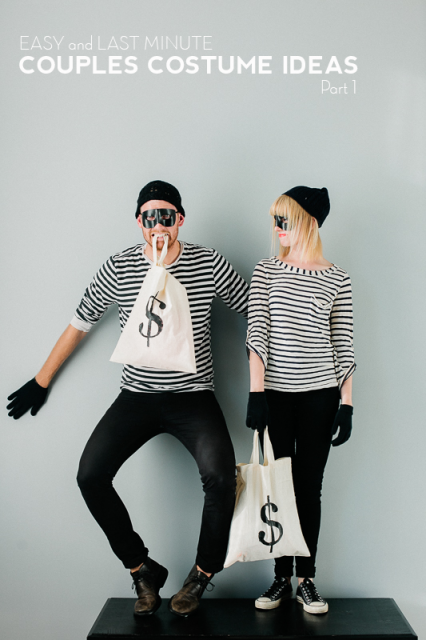 I found this Robbers Costume at Say Yes to Hoboken… So fun! Jake and Joe Costume at It’s Naptime Somewhere. 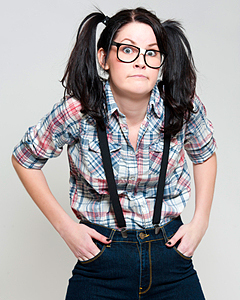 Nothing like an awesome nerd! 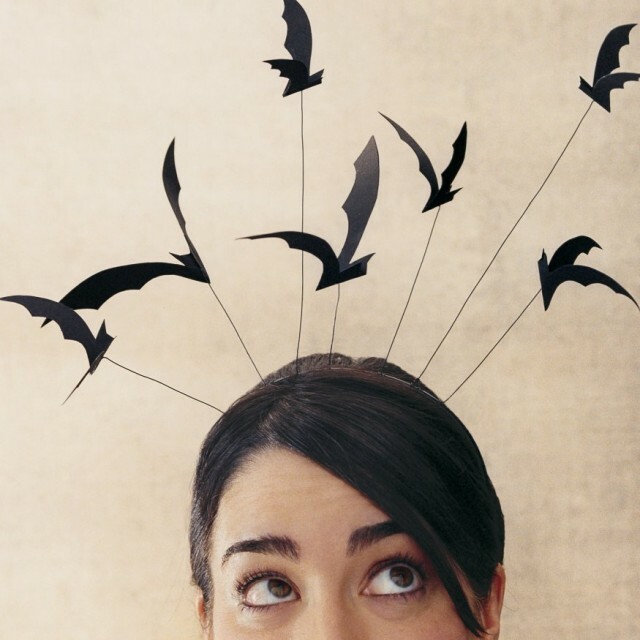 Dress all in black and wear this DIY Bat Headband… So cool! Come On! 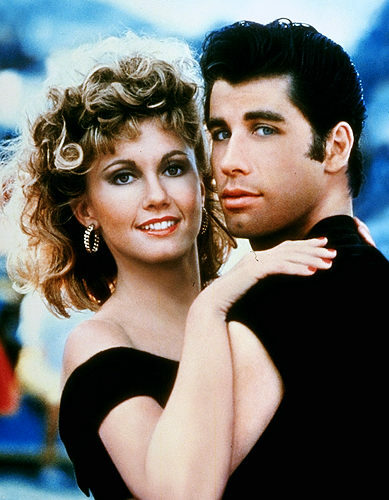 I know you have in your closet everything you need to become Sandy. …Every girl needs red shoes! 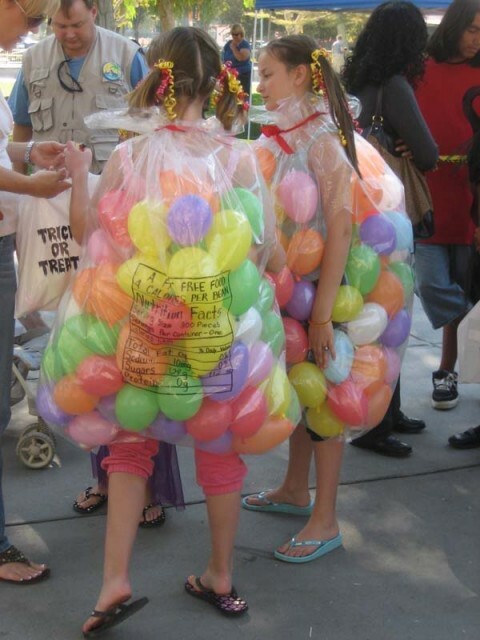 Super cute and affordable Jelly Belly Costume at Modern Kiddo … So clever! 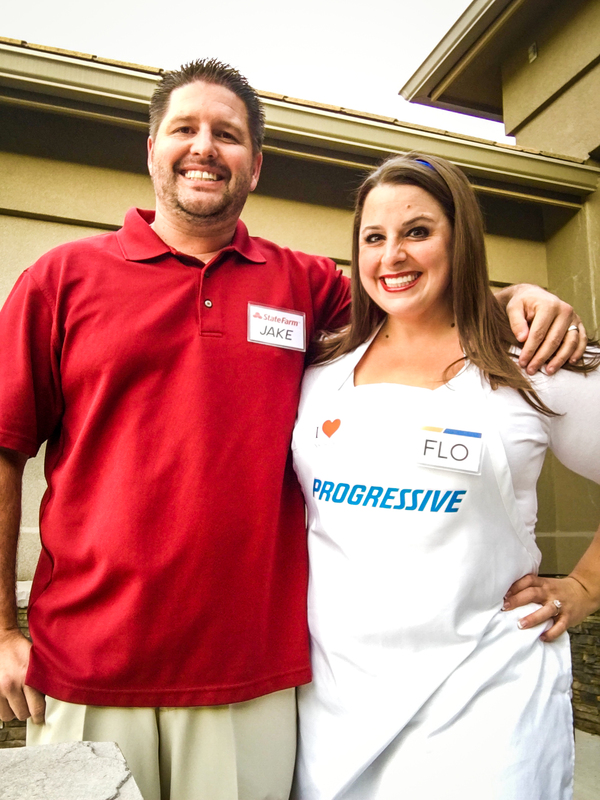 So, the question is what are you going to be for Halloween? Feel free to leave me a comment I would love to hear about your costumes! 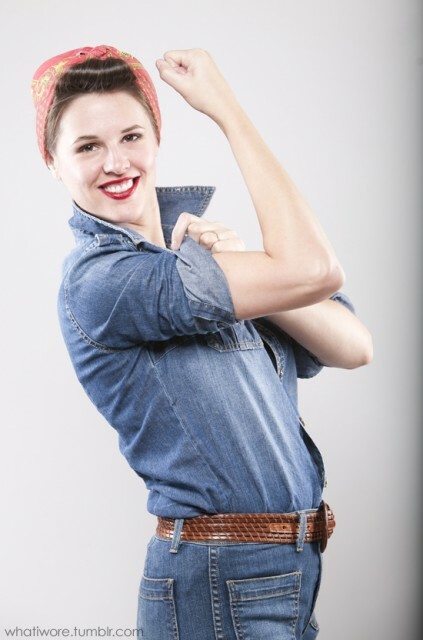 Here are some other Halloween Costumes and Makeup Ideas that I love! that will make your Halloween costume pop and look extra spooky. Super cute Halloween Costumes for Kids HERE. DIY Kids Costumes are always my favorite and these are so fun. I think you are going to love these ideas… They are easy, affordable and super cute! Enjoy! Have an awesome Halloween Day my friends! Those are all so fun! 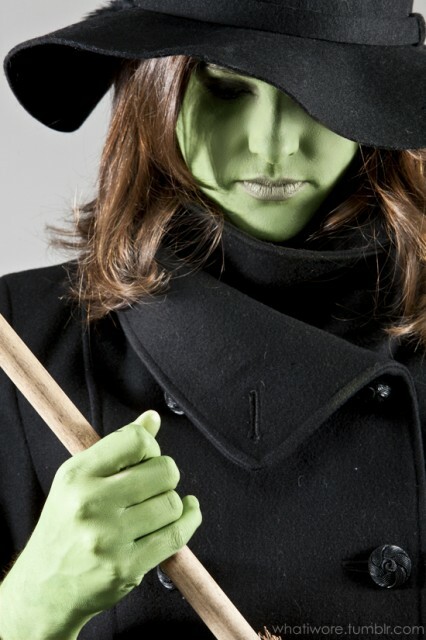 I love the Wicked Witch one! These are cute and I completely agree on the DIY’s are better. 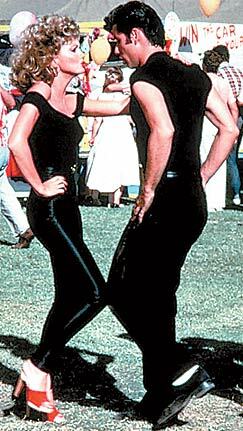 Love the robbers costumes…very simple but cute. Love these ideas! I have to dress up for a party and was still wondering what to dress up as. The robber looks super easy! Thanks for sharing! Might have to be Jelly Beans tonight! Still no costume, but I do have balloons and a trash bag!